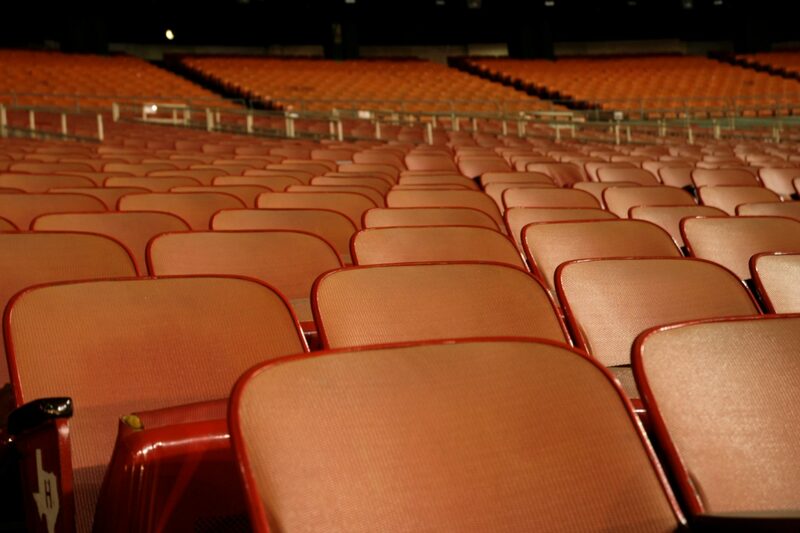 The Houston Press is Dead. Long Live the Houston Press. Covers I worked on including stories I wrote, photographed or both. 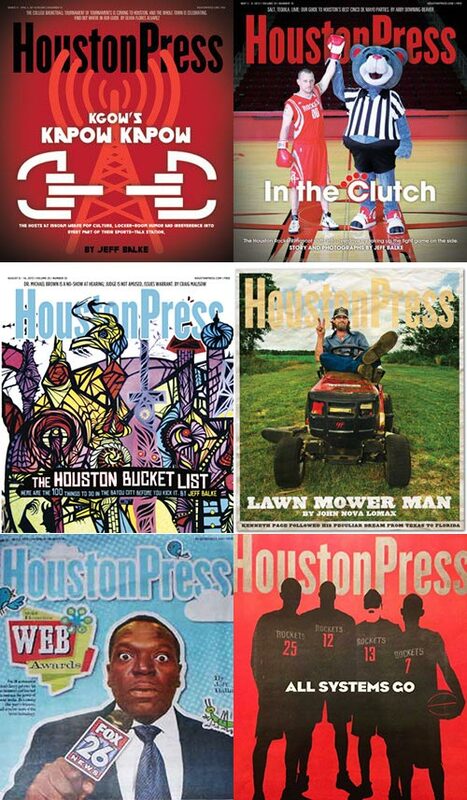 On Friday, it was announced that long-running Houston alt-weekly The Houston Press would be shuttering print operations and going to an all digital model. In the process, the entire editorial staff save Editor in Chief Margaret Downing was laid off. While I was never a full-time staff member of the Press, I feel like it has been as much a part of my life as any job I’ve ever had. So, it was a difficult thing to read. Former Press editor and writer John Nova Lomax once described me as “the Bill Spiers of the Houston Press” because, like the former Astros utility man, I filled in on many responsibilities at the publication. Over the last 8 or 9 years, I’ve filled in for virtually every editor, including Margaret, and written countless blog posts and feature stories. It was my first “real” start in writing decades after I went to J-school at the University of Houston, and it is where some of the work I’m most proud of was ultimately published. And as sad as I am for the loss to Houston media and the general public – make no mistake, some of the best journalism of the last 20 years was done there – the people are who I grieve for the most, especially those who lost their jobs, but also the many folks who poured their hearts and souls into the place. I thought it might be appropriate to run down some of the people who have worked, recently and not-so-recently, at the Press over the years and what they have meant to me. This list is by no means complete and I know I have left people off, so forgive any omissions. Also, the * denotes anyone who was laid off in this purge and is without a doubt looking for a new job. I begin with Katharine, who is now the managing editor at Houstonia Magazine because she is how I got my start at the Press. As web editor, she graciously gave me a couple photography assignments and recommended me as a blogger. If not for her, I may never have been introduced to the publication. More importantly, it was she who introduced me to my wife…more on that later. No one has better ideas than Katharine. It’s like she storehouses them in a vault somewhere. And no one is more enthusiastic about the city and its future. Her value at Houstonia cannot be understated and her unrelenting support of the community makes us all lucky to know her. It would be hard to put into just a few words what I have gained from Margaret as my editor over the years. Her great skill at crafting a story is utterly remarkable and her tenaciousness has kept the trains running when virtually no one else could. She made mediocre writers into good ones and good writers sensational. She is everything I think of when I imagine what real journalism is supposed to look like. I dare say few people in Houston media history have contributed as much both in terms of actual work and also in churning out productive, talented writers and editors. If anyone can keep the Press afloat, she can. I used to religiously read Rich’s News Hostage column in the ’90s. He was one of my true writer heroes, something he would laugh at if I told him. When I got the chance to write FOR him, it was almost hard to fathom, and when he took ill and I filled in for him for over a year, it was one of the great honors of my working life. No one could write as quickly and with as much clarity as Rich. It was as inspiring as it was hard to believe. I still miss his dry, curmudgeonly wit in black and white. Chris is another person who I have had the great honor to fill in for on numerous occasions. He is genuinely one of the kindest souls you would ever meet and truly one of the most unique music writers to put pen to paper (or keystroke to pixel). I feel lucky to count him among my friends and take full credit for the re-coupling of he and the next person on my list at my wedding. I don’t know what to say about Lauren other than she is one of the brightest lights a human could hope to know. I don’t think I’ve ever met a person tougher or more resilient. She and my wife became friends years ago and remain close. She and Chris and their adorable son, Oliver, are about as wonderful a family as you could hope to know. He hates me telling him this, but I have said it publicly because it is true: You will not find a better investigative reporter in this city. Period. I’ve listened to him berate people for not answer questions and sit patiently as they yelled at him for doing his job. He would find the truth if it were hidden beneath 10,000 pounds of printer paper, which is approximately the amount he kept on, in and around his desk at all times. He’s also a genuinely good guy and a wonderful friend. No one deserves another job in journalism more than he does. In the world of media there is no greater currency than ideas. It is the most oft overlooked skill and something Craig was born with. His wealth of idea, boundless enthusiasm and relentless pursuit of all things interesting, cool and otherwise has turned him into a deserving Houston celebrity. It would be annoying if he weren’t such a nice dude and genuinely gifted at what he does. I began admiring John’s well-documented work as the music editor and even had a couple adventures with him including the hunt for a man riding a lawnmower across the country which turned into my first cover shoot for the paper. He remains as one of the unique voices in Houston writing. And the woman who sent me on that trip with John across Louisiana is the former art director, Monica, who is supremely talented as an artist, but also one of the best organizers of information I’ve ever seen, an under-appreciated talent to be sure. Now at Houstonia (notice a pattern forming?) in the same capacity, Cathy often refers to her as a godsend. I feel fortunate to get to hang out with her and her husband regularly. Cory is quick to remind me that I gave him his start, which is terribly kind considering all I was doing was trying to add to a roster of severely depleted music bloggers when Chris Gray had a prolonged absence. He along with a handful of others turned into some very fine writers (a couple of them below), but Cory undoubtedly had the greatest success winding up as the web editor. He openly worried on Facebook about his opportunities to write about music again, but Cory is super talented and I would be shocked if we don’t see more of him opining on shows in the near future. I’m not sure I spent more time working at any desk more than Richard’s. The quiet and meticulous copy editor for God only knows how long, he was perhaps the most underrated member of the Press staff. I filled in for him just weeks ago and I understood quite acutely how critical his job was and often how difficult. Dianna kept a desk-sized light-up Abominable Snowman on her desk and that alone was enough to endear her to me. But, if that weren’t enough, it turns out, she’s an outstanding writer, particularly when covering NASA, the environment and the energy industry. She’s also delightfully nerdy. She will be snapped up by some intelligent publication soon I have no doubt, so better get in line. I first met Brittney WAY back in the days of the now-defunct Houstonist. She wound up blogging for an ultimately working as the web editor at the Press. Her directness and dedication to the things she believes in are infectious. If you are studying journalism, pay attention to the love Brittney has for writing and her diligent efforts to continually improve herself. It’s inspiring. I started shooting photos for the Press, so I have a soft spot for the all the camera-wielding guys and gals who have worked in the field. These three are the ones I spent the most time working with (of course, Eric and I go back WAY farther thanks to our desperate love of sports) and all are supremely talented. Plus, they have managed to do this for a living, an incredibly rare and brave feat that only the best can stake a claim to. It is no surprise both of these guys cover sports. John is one of the few guys who is happily willing to cover some of the less-reported stuff (college baseball anyone?) but also speak his mind even when it angers those who he is covering (he’s mostly right). Sean is without a doubt one of THE most talented sports writers/broadcasters I’ve ever met. I fear it won’t be long before he is poached by a national sports outlet and we’ll have to figure out what games we should wager on from someone else. He was the first person to text me the news about the Press and one of its most ardent supporters (also a great friend). I pick these three for good reasons. Bob reports on things no one else around here (or, in some cases, anywhere) covers and reminds me of the brilliance of great music and what writing about it means. Brandon is literally the only way I’m able to keep up (even a little) with hip hop and R&B. He has grown so substantially as a writer and his coverage of the genre in Houston is unmatched. And Nathan is simply one of the most solid and consistently great music writers in town. It is pretty incredible how many talented writers the Press has turned out over the years. Mandy, who Cathy and I once Latin danced the night away with, is now the Deputy Health Editor at TIME Magazine. No one knows more about Russia and its influence on America than Casey, a particularly important knowledge base at the moment. And Meagan, who just began her career in writing, has become one of the best city beat reporters in Houston (if the Chron doesn’t pick her up immediately, they are crazy!). There are others like Terry McCoy, who is at the Washington Post, and, Shea Serrano, who just reached number one on the New York Times best seller list no less (not a former fellow, but you get the idea). Margaret really knows how to turn them out. I feel particularly bad for Gwen and Zach, both of whom are really nice people and skilled journlists, who barely got their footing in Houston, nevermind at the Press. It would be a shame if Houston lost talent of their caliber. Last and most importantly is my wife, Cathy, who worked at the Press for a decade, most recently as the managing editor. She is another of Margaret’s many success stories as she is now Editor in Chief at Houstonia, something she richly deserves. She, herself, is responsible for discovering and honing the skills of dozens of writers over the years. Many owe their careers to her and it all began at the Press. Shortly after taking my first few assignments, I met her and my life has never been better. No matter what happens to the Houston Press, the fact that it gave me the introduction to the greatest love of my lifetime means it will always hold a very special place in my heart.